For those of you who don't know, it's my birthday today! Yep, i'm no longer a teenager and am now the ripe old age of 20 :(! I've had literally one of the best birthday's ever and do not want it too end. I'd like thank my amazing boyfriend for spoiling me absolutely rotten! And to my friends for making my day lovely and special! 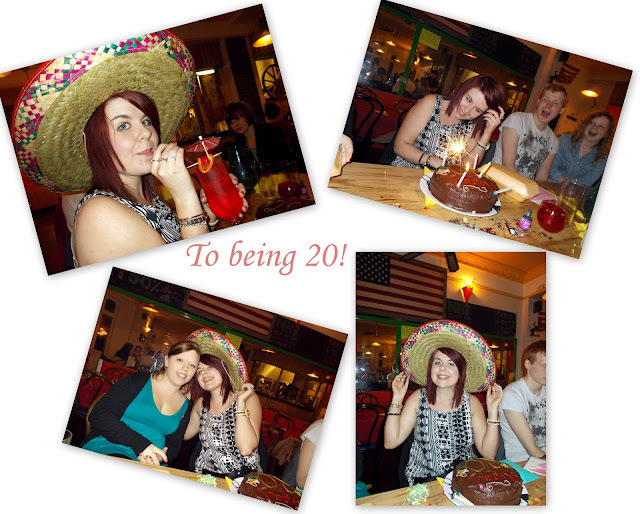 Here are a few snaps from the meal i had with my friends at the local mexican! I even received a free cocktail which was delicious! Just a quick one today but i'll be back tomorrow with the second half of my haul :)! Happy birthday! Looks like you had an absolutely great day. Where's your top from? It's gorgeous. glad i ran into your blog - happy happy birthday! Can't wait to see your haul.